If you are the kind of person that likes listening to music, programmes, etc. via online radio but that also lacks time to enjoy those great shows. 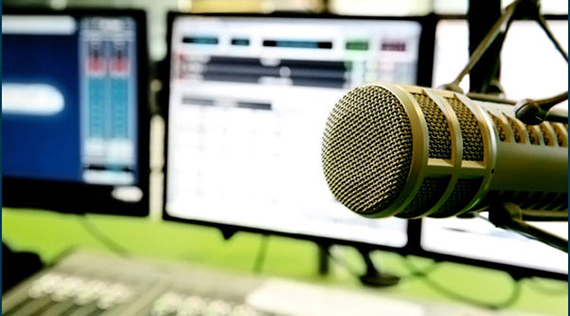 Work and daily responsibilities consume a lot of time nowadays, so Free Sound Recorder is the ultimate tool to keep you updated with your online radio. 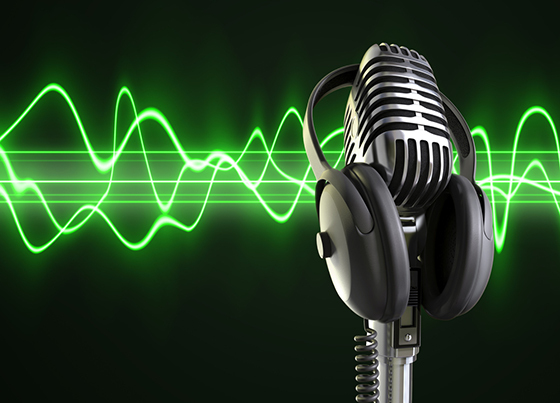 This post will focus on How to Record Online Radio with our free sound recorder software. You probably have tried many sound recorders that claim to be just perfect to record your voice, music, video’s audio, or any audio in general but end up being bad. Free Sound Recorder was made to satisfy the necessities of those disappointed customers. In addition to that, many software are not really safe, they often have a lot of pop-ups or unwanted publicities, malware, and viruses that might damage your computer, so it is really difficult to find a reliable program to do that. Free Sound Recorder is the best recording software that not only allows you to record online radio as well as music from other sources; it also allows you record your voice, music, video’s audios, and pretty much whatever audio you want. It is also very easy to use and have many audio formats from which you can select to save your audios. This software is the perfect tool for music lovers as well. There are many audios that are, somehow, protected and can’t be downloaded or converted. That where Free Sound Recorder comes in, you can record the audio you want without having to download the song or particular audio you want to get. The quality and options that the app can offer you are outstanding from the rest of apps and software’s available on the internet that claim to be “the perfect recorder tool”. You will be amazed by the number of different things that Free Sound Recorder can do for you. Whenever you download software, you have to know what you really expect from them, either be quality, easy to use and convenience. Most people are looking for a program that can be used at any time, in a simple way, and that offers the best quality they can have. With Free Sound Recorder you have that and even more. This is probably one of the most important features of the software, you can convert or save almost every audio source to the audio file you want. If you are recording stereo, line in, mic, online streaming, etc. you can save it in whatever audio format you like. This is the best option for music lovers. With Free Sound Recorder you can also record your favorite live band´s concerts and download them to your computer, phone, iPod, or whatever device you like the most. Even if you want to record a conversation through Skype, Express Talk or whatever app you have, you can do it. Just when you thought that was it, Free Sound Recorder gives you the option to edit and “customize” what you just recorded to make it sound even better, add different effects, cut, paste, copy, mix, etc. pretty much whatever effect you want. It has to be mentioned that this recorder has a great default recording quality that doesn’t actually needs a modification if you don’t have the time to do them. Nevertheless, you can add a little bit more quality with the edition option. This is another great option for music lovers; you can perfectly customize your music album with your favorite songs, remix, or whatever you like. Free Sound Recorder was made understanding the necessities of the costumers in order to provide them the best recording app for their sounds recordings with the best quality you can get. Most apps developers don’t seem to understand the necessities of the people that download their apps. It is for that reason we have developed this great app that will give you all you need. The software has an audio encoder integrated that has a noise-suppression system which allows you to keep the quality of your voice audios. Once you get used to the software and you want to try an improvement on your audios, you can adjust the settings to make boost the quality of your audios even more. Probably the most useful feature of the software is that you can set the time and date when you want it to start recording automatically any audio, voice note etc. Free Sound Recorder can be set to record your favorite online radio programs. This feature can help you record whatever TV show, concert, or anything you want. This awesome recording schedule can be set daily, weekly, hourly, however you want, depending on your necessity. What makes Free Sound Recorder the perfect tool for everyone, is the simplicity of it. 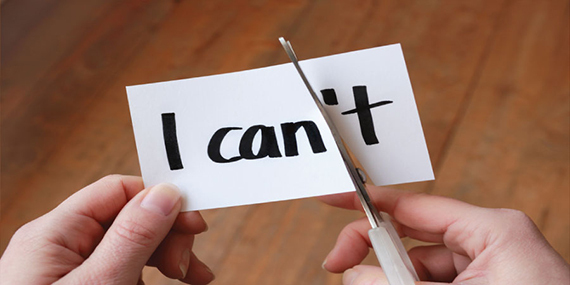 It can do many things in such simple steps that anyone can use. Many people are not really good manipulating computers or maybe just know the real basics. For example, older people, in general, don’t know how to use a computer pretty well. It is for that reason Free Sound Recorder was made thinking on customers, especially for those who are not experts using computers. The software is friendly to everyone. With the three simple steps, you will be recording what you want. By choosing the sound source, initiate the sound and, press the bottom record, you will be ready to go. 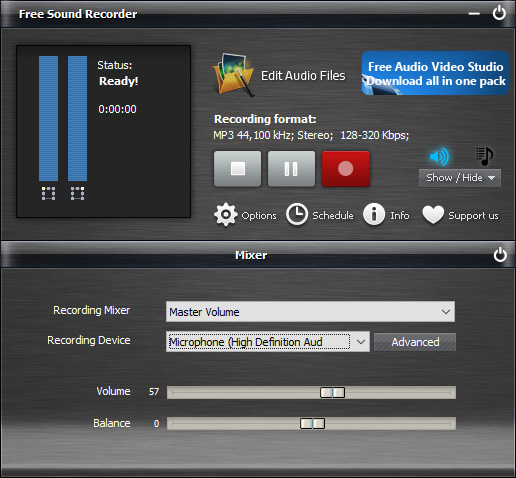 Free Sound Recorder supports all modern sound cards like professional, multi-channel and external USB sound cards. This is a good solution if you want the software to work ever more effectively and want to have a better experience. Your sound card allows you to control in a more effective way different informatics programs. Most computers have one and they are great to edit your audio or music content to boost the quality. 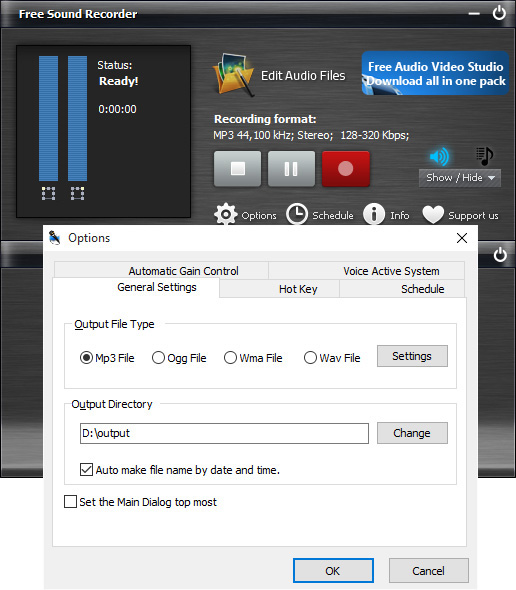 If you don’t have a soundcard that Cool Record Edit Pro can support, you can still enjoy all the features and customizable characteristics the software can offer you. This is another great feature for the music lover out there. You can record whatever audio and convert it to MP3 or whatever audio format you want. This is a great solution for people that like to record audios from videos like YouTube, or that just want a good quality audio from their records. Besides MP3, Free Sound Recorder allows you to record audios directly to WMA, WAV, etc. Many of the apps available to record audios don’t offer that many audio formats to save your audios. This is a great feature added to this software that makes it incomparable. Filelist is an option that Free Sound Recorder offers you when you record any audio. It is an “exclusive” tool where all your recorded audios are and you can do with them what you want. There you can play your audios, edit them, or just find them in an easy way. We all know how stressful and annoying can be to download something and being unable to find it right away. With Filelist, you don’t have to worry about it and, the best part of it is that can be launched directly from the software. You don’t have to worry about difficult steps to start recording or finding a way to record in the best way possible. Free Sound Recorder has an integrated system that allows you to start recording when it hears your voice. It also has a suppression system that makes your audios cleaner by putting all those noises out of your records. Most people don’t have a studio to record something and, if you have tried before when you play your records, you probably have noticed all the unwanted noises from the street, air conditioners, etc. With the suppression system, you will feel that you are actually recording your audios in a professional audio studio. Most people complain about pop-ups and the reliability of the different software and programs available on the internet nowadays, especially when they are for free. The majority of free apps, software, or programs are very unreliable in a general way. It doesn’t matter what kind of app we are talking about. Free Sound Recorder is one of that rare software that doesn’t come with a bunch of unwanted publicities, malware or potential viruses that will end up damaging your computers and your files. It is really clean and safe software to download and run on your computer. Free Sound Reocrder is the right tool you need to record online radio. Launch Free Sound Recorder, which doesn’t require that much time or “computer skills” to get the job done. in fact, with three simple steps you will be ready to go and will have the audio quality you have always wanted. To record online radio, you need to choose the sound source as “Stereo Mix”. Start streaming your online radio and if Free Sound Recorder detects the internal sound and shows you via the vibration in the bars on the left, you are good to go. The options panel allows you to modify the recording format and save them in the particular output folder you want; you can also choose if you want to auto-name the recording. Click “Schedule” and set time-triggered recording to record radio at a future time. Besides recording music, video’s audios, etc. you can record your own voice and set the recording format you want to save it in, the volume, and other settings. You can see the different options and settings you want to add to your voice recordings. Once you have recorded your voice, it will appear in the file list, ready to reproduce or customize it even more. As mentioned before filelist shows the exclusive folder where all your recordings go. In there, you can see your entire recording list that is ready to reproduce and modify. You can also customize and edit your recordings via list using another audio editor tool. Considering all the features and characteristics that Free Sound Recorder can offer you, it is actually more than just a sound recorder. It allows you to record online radio as well as pretty much whatever other audio you want in the file format you want and in the best quality you can get. Besides all the options, if that wasn’t enough, you can also edit and give even more quality to your audios. So, comparing Free Sound Recorder with all the other recorders available is the best option. The best part, however, is how simple and fast it is to use. 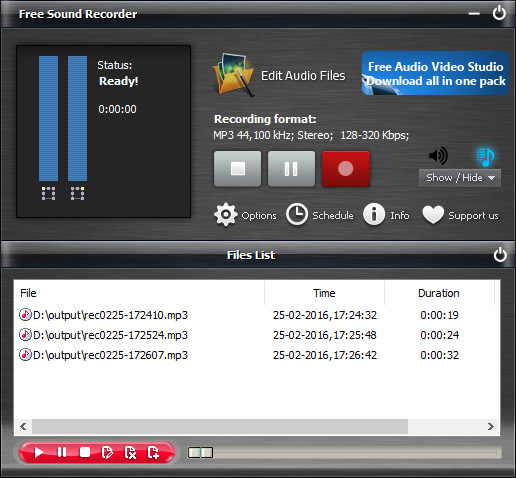 Free Sound Recorder has a friendly interface where you can find your recordings and modify them as you wish. The majority of software, apps or programs available on the internet that are for free will require a payment if you want to enjoy all the benefits of the same. With Free Sound Recorder you won’t be asked to pay anything and will be able to enjoy all the features of the software at the same time.